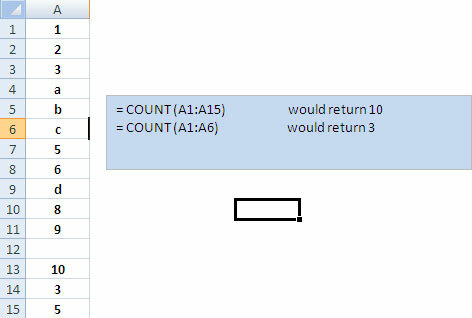 COUNT: COUNT counts the number of numbers in a cell or a range of cells. 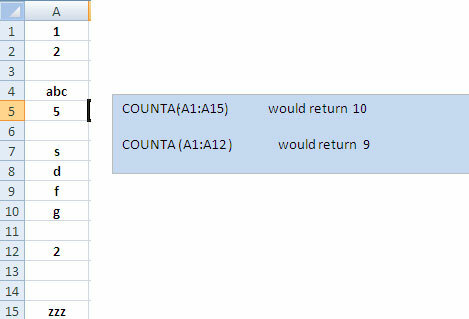 COUNTA: COUNTA counts everything whether number or text in the range except blank cells. 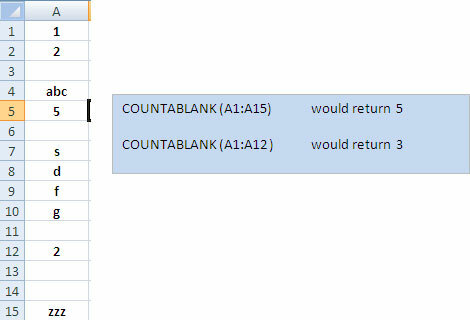 COUNTBLANK: COUNTBLANK function counts blank cells in a range.